Movement Integral Services for Advertising Agencies and Business. Act2Follow is a Creative Agency specialized in MOVEMENT. We offer comprehensive services covering the choreographic, performative and spatial needs of your Advertising Campaign, as well as the strategic requirements of your business. Movement and innovation are our communicative languages, and in the audiovisual realm, we are specialized in Advertising Campaigns for Film and TV, Viral Videos, Commercials, Video clips, Motion-Capture and Video Games. Closely working with either the Advertising Agency, the Brand or the Campaign in particular, we are fully present from the beginning of the creative process to the final maturity of the Story-Board; coordinating the casting, rehearsals, and all the details necessary for a successful development. 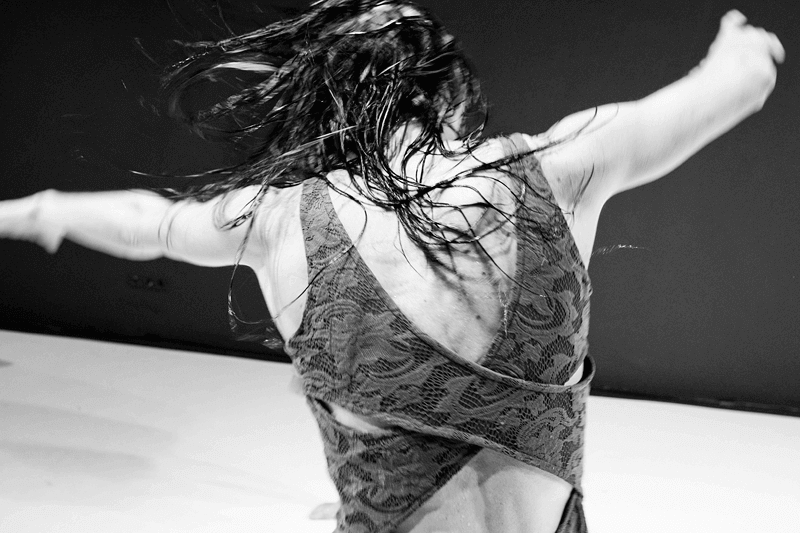 Act2Follow provides the talent and expertise of two leading European choreographers of the contemporary landscape: Sebastián García Ferro and Olga Sasplugas with an extensive background in the world of choreography, and performance scene. Business development: We use innovative ideas in the field of movement in order to strengthen and transform the labor relation synergies and the strategic business challenges in order to optimize the overall performance. Olga Sasplugas is an Andorran dancer and choreographer, who currently lives in Barcelona. After graduating in Contemporary Dance at the Institut del Teatre of Barcelona, ​​as well as in Humanities from the Universitat Pompeu Fabra, she began her artistic career in IT Dansa Dance Company, directed by Catherine Allard, working with avowed choreographers of the international art scene such as: Jirí Kylián, Wim Vandekeibus, Nacho Duato, Ohad Naharin, Jacoppo Godani among others. She received a Fulbright Scholarship by The International Fulbright Committee, to study a Masters in Performing Arts at Tisch School of the Arts, New York University, where she lived, studied and worked for several years. There are two audiovisual productions that outstand in within her own creations, both granted by the Ministry of Culture of the Generalitat de Catalunya and TV3: Mâi Pên Râi and Astragalus, this last one, being finalist of the New York Dance for the Camera Festival Film Festival. She also participated as a dancer and choreographer in different National and International Dance Festivals, as with the piece Fly, created for the CIA. It Dansa, premiered at the Festival of Sitges 2003. Olga Sasplugas has an extensive experience in the area of ​​choreographic and pedagogical training, participating as a guest choreographer in the program, SUDANSA, a Catalan School Dance Program, and consolidating the Dance Within the Family workshops, held for several years within the framework of the Barcelona Grec Festival, and with which she also participated in the Festival La Danza se Lee, in Bogota, Colombia. Other outstanding training experience involve her participation in the creation of the Dance Therapy Program at the Infants del Mon orphanage, in Preah Net Preh, Cambodia, as well as in the development and implementation of the Dones en Moviment workshop, within the framework of the Festival Dies Dansa, in Barcelona, ​​2012, designed for women at risk of social exclusion. In the field of Performing Arts Management, she was a key part in the consolidation of the Urban Visions first edition, a Dance Festival in Public Space held in Cairo, Egypt, 2012, in collaboration with the Arts association, La Marató de l'Espectacle. She also ideated and produced: CODIFICAT, a Dance, Immigration and New Technologies project, financed by L'Obra Social La Fundació la Caixa, Barcelona, 2012. To be mentioned and highlight is her role as main choreographer for the Evax Spot, Summer 2010 campaign. Sebastián García Ferro is an argentinian choreographer, dancer, performer and composer living in Barcelona. He runs his own Dance Company since 2000 with which he has created 19 pieces including "Only One" (2000), "Tracks" (2003), "Tancat attidue" (2005), "Back" (2007), "Travellers" (2009), "Collapsing" (2011), "Impasse # 2" (2013) and has been awarded with several prizes, such as as the 1st prize for best choreography in the 12maspalomas Contest 2007. In recent years he has commissioned several large format projects for the National Contemporary Dance Company of Argentina with the piece "Versus 0.2", the Barcelona Symphony Orchestra with the piece "Orquestra't" , the Ballet Opera Rieka with "Air from There" among other social dance projects like "TOTDANSA" 2011 - 2012 and "TOTS Dansen". During the 2016, Sebastián García Ferro unveils his new production: +45 , with 60 artists on stage at the Mercat de les Flors Theatre. This project receives the support of La Obra Social La Fundació La Caixa and it is co -produced by the Mercat de les Flors, El Grec Festival and the Festival Sismògraf, among others. 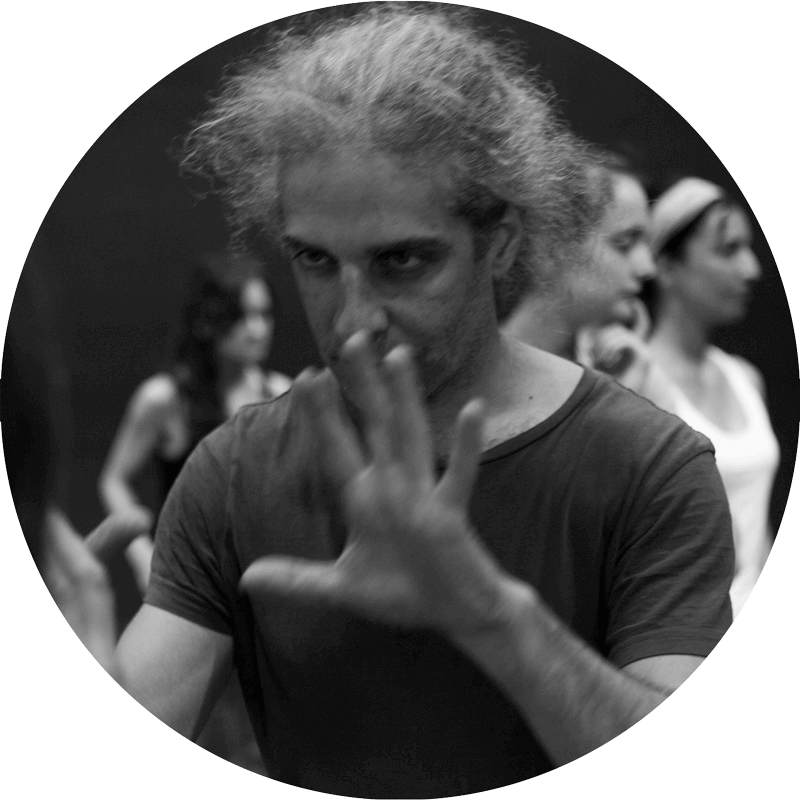 Sebastián García Ferro studied Contemporary Dance, Choreography and composition with Cristina Bosso, Ted Stoffer, Roberto Olivan, Martin Kylvady, Meg Stuart and CI with Andrew Harwood, Nancy Stark Smith, Chris Aiken and others. He teaches Composition, Contemporary Dance and Contact Improvisation since 1997 in different studios, theaters and festivals in Argentina, Spain, Portugal, Switzerland, Austria, Italy, Finland, UK, France, Holland, Germany, Mexico, Cyprus, Sweden and Belgium in places like TanzHaus nwr (Dusseldorf), K3 (Hamburg), Blue coat (Liverpool), Forum Dansa, CEM (Lisbon), La Caldera (Barcelona), Studio 3 (Madrid), Centro Parraga (Murcia) and Contact Festivals such as CMC, Ibiza, Buenos Aires, Freiburg, etc. He is the artistic director of the Barcelona International Dance Exchange (B.I.D.E. ), a platform for professional choreographers, dancers and performers: www.bide.be, .) a leading member of La Caldera - Les Corts Centre de Creació i Arts Escèniques, Collaborator Artist of the Barcelona Auditorium and Resident Composer for Phonos Foundation of the University Pompeu Fabra. Dansa+ 45 al Mercat de les Flors,TV3, 2016. Visitem La Caldera, un centre de creació de dansa i arts escèniques a Barcelona, TV3,2015. En directe al 'Connexió': Dansa BIDE a la Caldera- BTV, 2015. Making Off Spot Evax, Adapt, Campaña de verano, 2010. TV·. CODIFICAT Project Interview, 2012. Antena 3, entrevista, Olga Sasplugas, IT DANSA, 2001. © Act2Follow. All rights reserved.